The preliminary estimate for the total duck population is 49.2 million birds, an 8 percent increase over last year's estimate of 45.6 million birds, and 43 percent above the long-term average. •	Estimated mallard abundance is 10.9 million birds, similar to last year's estimate of 10.4 million birds and 42 percent above the long-term average. •	Blue-winged teal estimated abundance is 8.5 million, which is 10 percent above the 2013 estimate of 7.7 million, and 75 percent above the long-term average. •	The northern pintail estimate of 3.2 million was similar to last year's estimate of 3.3 million and remains 20 percent below the long-term average. •	American wigeon were 18 percent above the 2013 estimate and 20 percent above the long-term average. •	The combined (lesser and greater) scaup estimate of 4.6 million was similar to 2013 and 8 percent below the long-term average of 5 million. •	The canvasback estimate of 685,000 was slightly lower than the 2013 estimate of 787,000 but 18 percent above the long-term average. Habitat conditions assessed during the survey were mostly improved or similar to last year as a result of average to above-average annual precipitation. 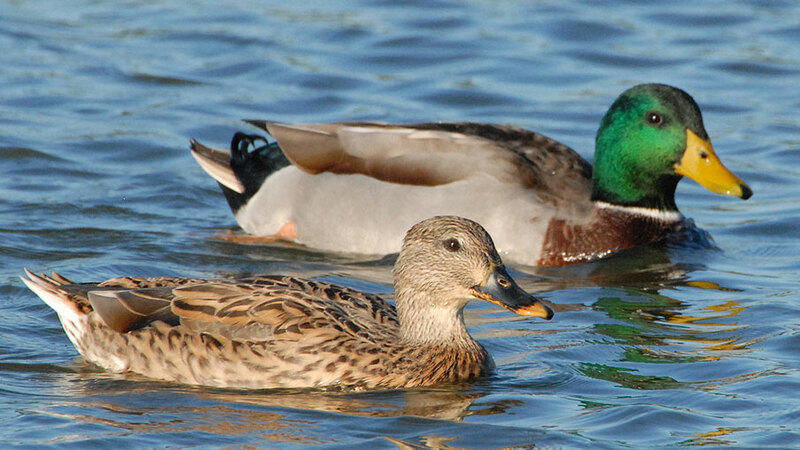 The 2014 Waterfowl Breeding Population and Habitat Survey conducted by the U.S. Fish and Wildlife Service and Canadian Wildlife Service encompasses more than 2 million square miles of waterfowl habitat across Alaska, north-central and northeastern United States, and south-central, eastern and northern Canada. The annual Waterfowl Breeding Population and Habitat Survey guides the Service's waterfowl conservation programs under authority of the 1918 Migratory Bird Treaty Act. Waterfowl population surveys and monitoring programs are critical components of successful waterfowl management and a reflection of the Service's commitment to generating high-quality scientific data to inform conservation planning.